The final installment of his Vengeance Trilogy is Sympathy for Lady Vengeance. Moving into more blatant exploitation genre ground, this is Chan-Wook’s take on the female prison trope. We follow Lady Lee Geum-Ja as she is released from prison after thirteen years of incarceration for the alleged murder of a six-year-old boy, Won-Mo. The narrative of the film is remarkably – although not unexpectedly – disjointed, at first following Geum-Ja as she visits her former cellmates to collect on various favors in order to bring her grand scheme to life. The scenes digress into various flashbacks to their time spent in prison together and sometimes even to the crimes themselves, and the favors owed to Geum-Ja are as varied as putting together an old blueprint for a gun to committing to a long-term and abject marriage. The themes of innocence juxtaposed with violence are evident from the first scene, which shows Geum-Ja being released from prison and greeted by her naïve Christian stalker. The first thing we hear about Geum-Ja is from this obsessive Christian, who tells us that she is actually an angel. Immediately after being released, he presents her with a tofu block and says to eat it “so that she will live as white as snow and will never sin again,” to which Geum-Ja responds by knocking the tofu to the ground. After this, she first puts on her “blood red eyeliner” and embarks on her journey to vengeance. However, it is not so cut and dry as Geum-Ja is just evil and seeks revenge; it is indicated as often as possible by the characters around her that the eyeliner does not suit her, and her inclination certainly seems more suited to baking than it is to cold-blooded murder. This theme is accented by her repeated reflection on her guilt, and it is remarkable that the theme of her guilt remains such a prominent one throughout the entire movie considering the viewer assumes from the onset that Geum-Ja never committed the crime for which she was convicted. Yet, she returns to the memory of Won-Mo over and over, and her personal sense of guilt and desire for atonement is obviously her motivation, but we can’t go into any more detail on this without spoiling the film. Though the glaring Tarantino influence may lead some viewers to brand Lady Vengeance as just another knock-off, the film is itself an extremely realized work that is very distinctly in the style of the new South Korean directors of the 2000s. Even if it is the least iconic or recognizable of Chan-Wook’s films – at least in the Vengeance Trilogy itself – the film does present us with the most concise and realized message on revenge in the trilogy, as well as a fully functional visual style that the director had gradually concreted over his previous features. Combined with his raw and simplistic symbolic presentation, Chan-Wook may have created a masterwork of the Tarantino copycat. “The reason why I did it is simply because I think it is funny.” Chan-Wook’s assessment of his offbeat rom-com set in an asylum for the mentally ill pretty much sums up any approach you could have to this film. Young-Goon is a young woman working in an electrical factory, where she is given directions – from the radios she is putting together – to cut her wrists, insert a wire into her veins, then seal her wrist with electrical duct tape, and connect the wire into the plug socket. Young-Goon thinks she is a Cyborg, and Cyborgs do not eat food; Young-Goon needs to charge herself up with electricity in order to stay functioning. She is admitted to a hospital, where she spends her time licking batteries, talking to the electrical appliances in the building, and listening to her radio, which continues to give her instructions on how to improve herself as a Cyborg. Already, we can see that this is perhaps not the run-of-the-mill romantic comedy we are used to in the West (it’s probably typical in Asia, though, right?). Honestly, it’s baffling to think that one of Chan-Wook’s major motivations for making this film was to have something that he could watch with his then eleven-year-old daughter. The radio lists out the seven deadly sins for Young-Goon as follows, in order of “evilness”: Sympathy, Being Sad, Restlessness, Hesitation, Day Dreaming, Guilt, and Thankfulness. The radio accuses Young-Goon of having sympathy for the staff (“white ‘uns”) at the hospital, and this is the reasons he fails to murder them (she blames them for taking away her grandmother). Therefore, she asks the thief Il-Soon to steal her sympathy from her, and a convoluted love-story ensues. Il-Soon is schizophrenic, anti-social, and fears shrinking away into a dot. He spends his time stealing from the other patients (although, most of the time, it is just a construction of delusions which leads other patients into believing that he has stolen from them), playing ping-pong in the recreational room, and wearing paper rabbit masks to shield himself from the outside world. One of the most impressive things about this movie is the fabric of character inter-relations established between the patients (and the staff), who each has his or her own quirky and insane vice or complex from which most of the humor of the film is derived. It may be the director’s cheapest and least thrilling work, but it is also his most off-the-wall and outright comical film to date. The lighthearted tone of the film – despite risking falling into the unsavory and distasteful ground of mocking the mentally ill – is strangely endearing. The amusement of the film comes down to the fact that the tone is at all times light and humorous; it never tries to be gritty or dark, in which case the film’s unconventional humor may have tripped into melancholy territory and made the previous funny scenes about the characters’ mental health seem cruel or mean-spirited. However, it succeeds in avoiding this fall, and we can only praise the director’s performance for walking so tight and risky a line as he did in this film. Even if you find the concept reprehensible, there is no denying that the visuals from the costumes and props to the cinematography and bare lighting are damn gorgeous, and it’s worth watching I’m a Cyborg for this reason alone. Sang-hyun is a Catholic priest working at a hospital giving last rites to the sick and dying. Ostensibly a Christian of devout faith, his importance is sidelined by his lack of medical ability when the situation goes awry by the bedside. His ego and, by extension, his faith are tested by this feeling that although he may be committed and adept in the priesthood, his temporal lack of skill renders him rather inert in the physical world. Here, he contracts the virus, and in a speech that contains an air of almost suicidal asceticism, he rejects his body and soul and tries to create an image of himself as a “soldier of God.” Shortly thereafter, he dies, and yet he lives. The blood transfusion given to him in an attempt to save his life is from a vampire, and now the symptoms of his vampirism unfold onscreen. The symbolism is simple yet clever, as is the hallmark of Chan-Wook’s visual style. The imagery attributed to Sang-hyun by other characters is all of virgin births and undeath, which immediately we associate with the Virgin Mary and Christ returning from his tomb. However, the internal, sinful thirsts of Sang-hyun battle with his moral compass as his doubts of faith spin out of his control, his acceptance of medicine is likened visually to that of the unnatural and malign through the distrust and disease that we come to associate with hospitals in the film. As his doubts grow, so does the parallel image of him as an antichrist figure, rather than that of a Christ, as is presented by the surrounding roles. It is through this internal symbolic conflict, personified by Sang-hyun’s vampirism, of doubt and craving for sin, contrasted with his image as a man of fine moral bearings, that Chan-Wook delivers a visual sleight-of-hand which allows him to simultaneously create a fixed moral problem for the characters throughout the film as well as make one of the most captivating and original vampire films since Nosferatu. The film is, however, in many ways another rom-com; the genre now seems to be thriller et horror et rom-com et spiritual reflection. Sang-hyun falls for his friend’s wife, Tae-ju, and a complicated and humorous love story ensues. Tae-ju is under the tyrannical rule of her husband and mother-in-law, and when an affair is sparked between her and Sang-hyun (who has by now realized that the priesthood and vampirism are incompatible ideologies), these two characters become targets for murder – a concept that pains Sang-hyun terribly. “Do you know how hard I tried not to kill people? You can’t even begin to imagine. A bloodthirsty beast is growling inside of me, but I tiptoed around afraid to hurt anyone.” Overall, the film is an extremely realized film in Chan-Wook’s oeuvre and is a landmark movie in the cinema of vampires. Perhaps, in ways, the strangest film on this list, Stoker is a very – very – distinct change in style for Chan-Wook. First of all: the pace is his slowest to date; gone are the clanking, 3D digital clock cuts of Oldboy and Lady Vengeance; we have here a moody and gothic familial melodrama shot with a new found subtlety. In his previous films, the cast is consistent and it feels like the director is shuffling them as a dealer would a deck of cards on a film-by-film basis. 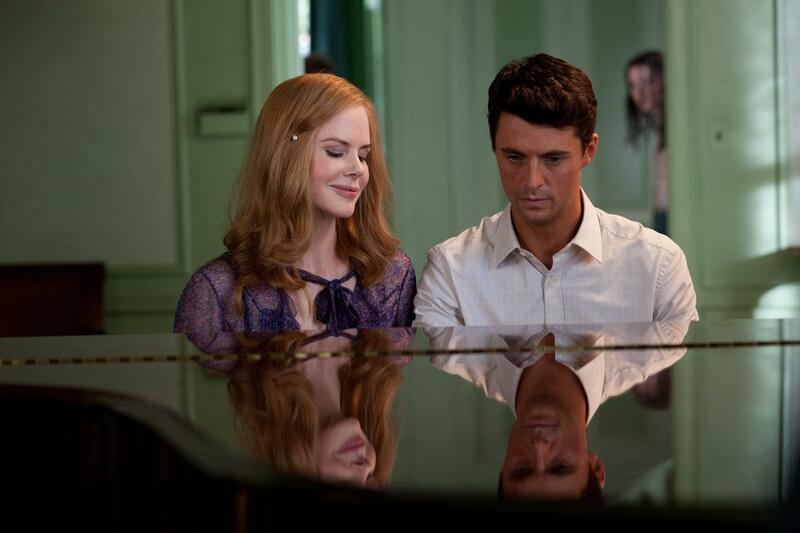 In Stoker, however, one of the most striking developments in style is that while previously we were used to (and downright expecting) actors such as Song Kang-Ho, Choi Min-Sik, and Im Soo-Jung as regular haunts of Chan-Wook’s images, we now have Mia Wasikowska, Nicole Kidman, and Matthew Goode as they mysteriously navigate this remote, Bram-Stoker-meets-Hitchcock gothic fairytale narrative, occasionally dropping elusive and inconclusive clues that we may solve the enigma which seems to draw these characters to one another in such a strange and captivating manner. Stoker follows the eighteen-year-old girl India in the wake of her father’s death from a motor accident of strange circumstance on her eighteenth birthday. At the funeral, she sees on the horizon her “Uncle Charlie” (a nod to Hitchcock’s Shadow of a Doubt) obscured in haze, who claims he has just returned from his travels around the world, of varying degrees of glory and scandal depending on what rumors you happen to catch in the fleeting conversations of the funeral. After the funeral, there is an immediate spark between Evelyn (Nicole Kidman, mother to India) and Charlie, and a sort of haphazard romantic affair occurs, with constant undertones to Charlie’s actual sexual hungers being for India herself. A large part of the enigmatic tone of the film comes from the unsettling and almost magnetic draw that Charlie has to India, made creepy by the obvious incestuous implications of such a relationship. Even more disturbing is how the relationship plays out: Charlie seems always to be right behind India whether it is in high school or simply around the house, and although we feel that his presence is evil, he appears more often than not to be her protector. As the film progresses in this manner, we begin to wonder if the harmful element obvious in Charlie’s character might not be reflected in that of our protagonist – thus the dramatic and perturbing tone intensifies at a slow and deliberate pace towards climax and revelation. Concurrent with Chan-Wook’s regular visual hallmarks, there are simple but memorable props – the most notable of which is the birthday present containing shoes, which India receives every year, coming always in a very light cream box with a striking bright yellow keeping it neatly wrapped together – that create a continuity and symmetry from scene to scene. The effect created overall is one reminiscent of Jonathan Glazer’s Birth, also starring Kidman, which contains a similar mysticism in the wake of a death. This mysterious, gothic, and surreal atmosphere is truly unique in a very special, unsettling manner, and the change in direction was a daring career-bending move on Chan-Wook’s part that leaves us excited and hankering for what will come next for his films. Indeed, it is easy to spot how the gothic and surreal aspects of the film could have appealed to Ridley Scott, who was a producer on the project. Chan-Wook is returning to South Korea to direct his new feature, Agashi, this year, and we can only eagerly wait and see what long-term effect this foray into Hollywood will have on his violent and mysterious images. Author Bio: Cillian Bissett is a student of English from Dublin, Ireland. He probably should have chosen Film-Studies instead of English as his major. Oh well.